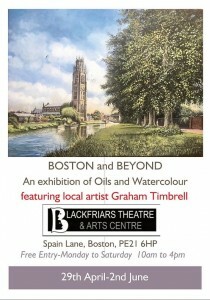 Artist Graham Timbrell presents his latest Exhibition with works showing Boston, Stamford and Lincoln. 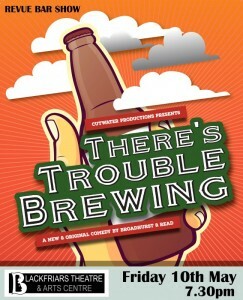 Cutwater Productions return to Blackfriars Revue Bar with their latest touring show - There's Trouble Brewing.... A new and original comedy by Broadhurst and Read. Ready for a New Fantasy??? 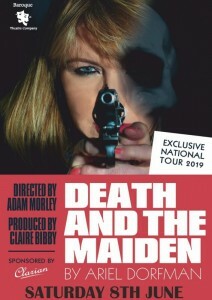 Brace yourself for two hours of thrilling action, provocative choreography with the ultimate Forbidden strip tease (and a few men in uniform thrown in for good measure). Over 18's Only. 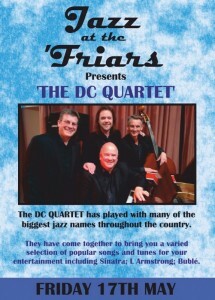 Introducing our new "Jazz at the 'Friars" events with our first group - The DC Quartet come together to bring you a varied selection of popular songs and tunes for your entertainment, including Sinatra; L Armstrong and Buble to name a few. 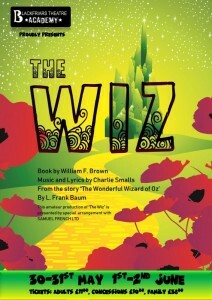 Blackfriars Theatre Academy are proud to bring you THE WIZ. 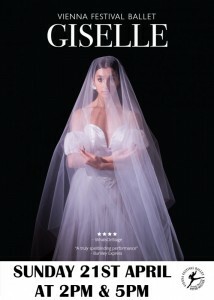 Itâ€™s a beautiful little story about self-belief and one thatâ€™s resonated for over a hundred years. 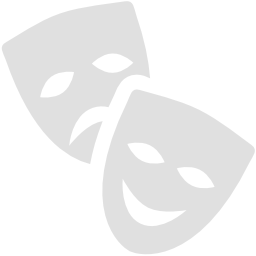 Constantly rebooked over and over, this tribute show has something for anyone and everyone and suited for almost every occasion. 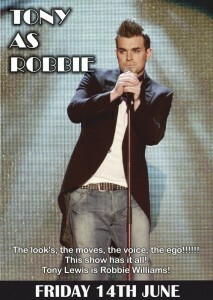 The look's, the moves, the voice, the ego!!! 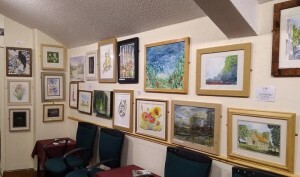 This show has it all! Tony Lewis is Robbie Williams! 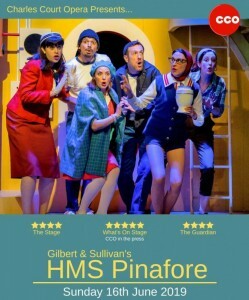 The masters of G&S in small space present their fresh take on HMS Pinafore, the earliest enduring success of Gilbert & Sullivan's famous collaboration, which remains a firm favourite with audiences. 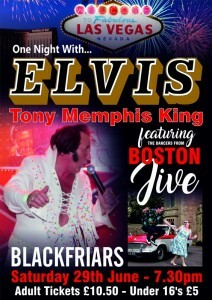 With many well known songs including, I'm called little Buttercup and He is an Englishman, this brand new production promises an evening of rollicking choruses and tender tunes imbued with the unique wit and infectious energy of a Charles Court Opera production to be enjoyed by all ages. 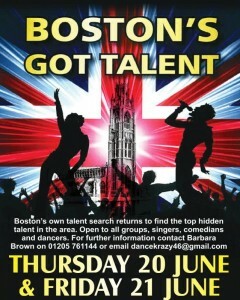 Boston's Got Talent returns to the Blackfriars Stage for another year. 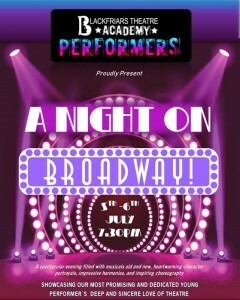 Blackfriars Theatre Academy Performers Classes present this fabulous concert of their favourite Broadway spectaculars. 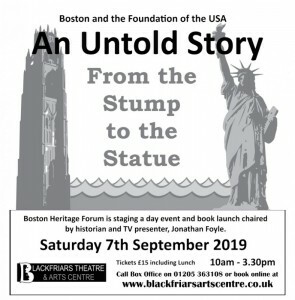 Boston Heritage Forum is staging a day event and book launch chaired by historian and TV presenter, Jonathan Foyle. 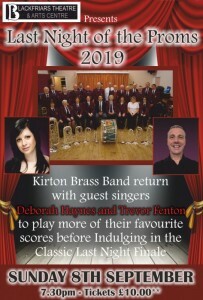 Join us for another Proms Celebration with Kirton Brass Band and guest singers Trevor Fenton and Deborah Haynes for our 2019 Last Night of the Proms. 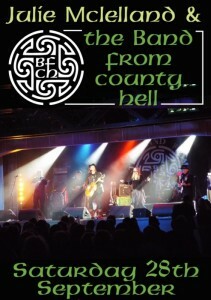 Back by popular demand we give you Julie Mclelland and the Band from County Hell. 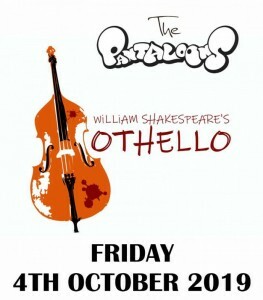 The critically-acclaimed Pantaloons relocate Shakespeare's classic tragedy of jealousy and deception to a jazz-age setting, with live music, intense drama, and more than a hint of their own inimitable brand of theatrical mischief. 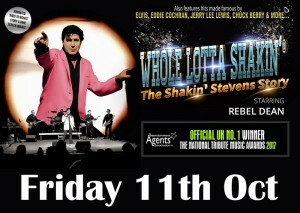 Back by popular demand Rebel Dean is Shakin Stevens. If you've ever wondered what's behind the Green Door , now is your chance to find out!! 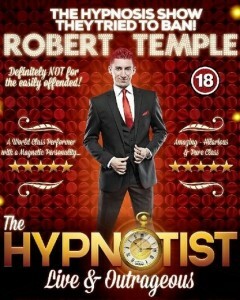 Join leading hypnotist Robert Temple on a fast-paced, laugh-out-loud and hysterical ride to the centre of your imagination! 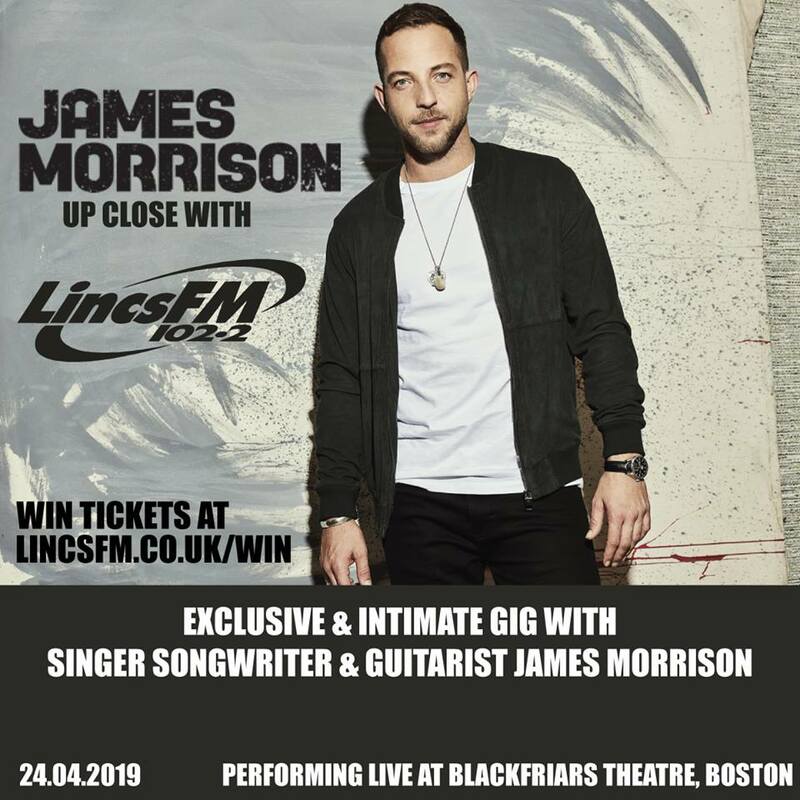 This is YOUR chance to become the star of this unforgettable show. 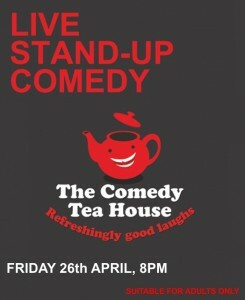 *NOT FOR THE EASILY OFFENDED. 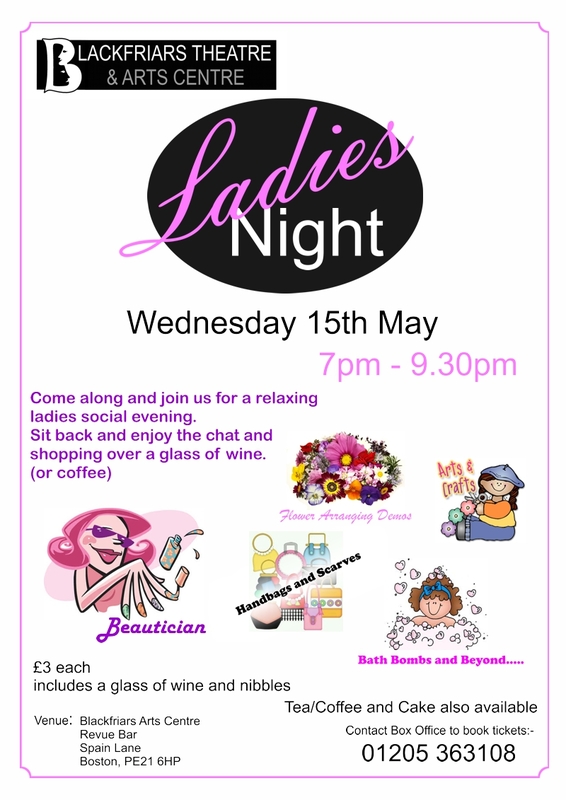 OVER 18's ONLY.